The brand new Year of the Dog bodes quite well for you if you are from India. Yes, you may already be enjoying the many blessings this world could offer, but there’s one more piece of good fortune that you may find too enticing to pass up: Australia opens its doors for you. Well, Australia has always been welcoming to people from India. In fact, as of the latest census, Indians account for the second largest group of immigrants in Australia next to the Chinese. Yes, your compatriots represent about 22% of net migration here. This figure is nothing to sneeze at. The opportunity offered to you by the only island-continent country in the world is quite providential, especially at the start of 2018. As we all know, the year of the dog ushers in many changes, be they on the personal or social level. And how does it relate to you? You may be looking for some changes in your life starting this New Year – either to build on the successes of the previous year or to make up for the failures of the year gone by. And such changes involve moving to a new country either to work, to study, to find your partner in life or to spend your retirement. For this reason, the land Down Under looks like the perfect place for you. It is as if the stars will align if you decide to choose Australia as your next home either temporarily or live in Australia permanently. For one, the country has opened its arms for you, like we said at the start of this article. Two, it has played as a gracious host to millions of your compatriots. And, three, there are several ways for you to travel to the country. That’s right: There’s not only one, two or three means for you to enter Australia. There are many! And we will discuss them in greater detail in just a bit. Yes, the next logical thing for you to do now is to check the various ways on how to get to the land of opportunities. Of course, we need to start off with the most basic of requirements – getting an Australian visa. Allow us to point out the fact that the Australian government offers more plenty of different categories and subclasses of Australian visa. This is what we mean when we said earlier that the country offers you several means to come here. But for purposes of our discussion here, let’s just focus on four common and popular ones, namely visas for skilled workers, students, partners, and parents. If you happen to be any of the mentioned sectors, the future is bright for you in the land of opportunities. It’s rather easy for you to obtain one of the subclasses for skilled immigrants if you are able to undertake a skilled occupation in the state or territory that requires your skills. Most everyone knows that Indians excel in information technology (IT). We need not mention the fact that two of the world’s IT giants – Google and Microsoft – are headed by your countrymen: Sundar Pichai for the former and Satya Nadella for the latter. 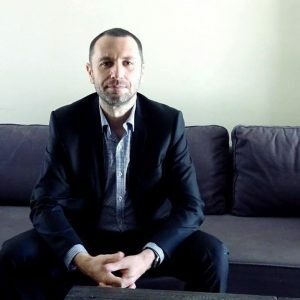 For your part, you can very well establish your name in the IT sector in Australia because the country needs people like you for its burgeoning computer and technology industry. There are a number of visa types for you to choose from in the area of skilled work. The more popular one is called Temporary Skills Shortage (TSS) visa, formerly known as subclass 457. This visa, though, offers temporary residency only. You still need to apply for another type of visa that provides for permanent residency after you’ll have complied with its conditions. If you prefer to live in a laidback environment, away from the hustle and bustle of city life, you can opt for Regional Sponsored Migration Scheme visa (subclass 187). This is a permanent visa, but this requires a sponsor. If you don’t have a degree yet nor the needed skills required for any listed occupations here, don’t fret. You can still spend productive and memorable years in the country by being a student in one of the top colleges and universities here. Australia has become a favorite destination for non-citizens who are looking for a suitable place to earn a degree or undertake further studies. Not only do you benefit from the high standard of education here, you can also enjoy the other perks of being a holder of a student visa like the opportunity to find work while studying. Not only that – your student visa can serve as a ticket for you towards permanent residency. Studying in Australia comes with a price and there are certain Australian student visa financial requirements you must fulfill to be granted with a student visa. A good thing is, you may take your partner with you – they will be also granted with a student visa, but will not have to study at all. Both of you will be allowed to work while on a student visa in Australia. Yet another manner for you to acquire permanent residency in the country is through partner visa. This is quite popular among your compatriots. For some reasons, Australians with Indian background prefer to marry people from your beautiful country. This is one of the reasons the population of Indian immigrants continues to swell. If you happen to be single now and have been dreaming to reside in the country for good, this is one avenue you can explore. The requirements here can be tough and stringent, though. For instance, you and your partner should show solid proof that your relationship is lasting and genuine. To that end, the case officer of the Department of Immigration and Border Protection (DIBP) may demand evidence from you such as joint bank accounts or detailed and accurate narrative of your relationship from your friends, family, and relatives. This is quite understandable and less surprising in the light of the rampant cases of human trafficking. Do you have a child who is already a citizen or permanent resident of Australia? If so, you are lucky. He or she can bring you to the country through a parent visa. With millions of Indian immigrants happily residing in the country these days, there’s a big chance that one of your children may already be a citizen or permanent resident here. This puts you in an enviable position to avail of the privileges of such a visa. There are different types of parent visa to choose from. The most affordable one is Parent Visa subclass 103. It affords you permanent residency here. The downside of this type is the waiting time, which may take up to 30 years. If you prefer the subclasses that are processed faster than subclass 103, you may opt for either subclass 143, also known as Contributory Parent visa (permanent) or subclass 173, Contributory Parent visa (temporary). Both subclasses command a higher price tag, though. But if money is not an issue with you, then either of them is the way to go. Parents of Australian citizens and permanent residents could also be granted with lengthy visitor visas. We know you could not wait to treasure the time traveling around the country, spend quality time with your grandkids (if you have any), or assist your child or children in taking care of household chores while they are busy with their work or business. Why not start the application process as soon as possible? And in starting the ball rolling, why not hire the services of our company, Nowak Migration? Please note that the abovementioned types of visa are just one of the many ways for Indians like you to travel and stay in the lucky country. There are still many. And each of those types of visa has requirements, conditions, and limitations that can be confusing to the uninitiated in the industry. Besides that, you need to choose which of those subclasses best suits your purpose, needs, qualifications and even financial capability. We don’t even include the fine prints on the immigration documents, which most people gloss over as insignificant, but can make or break an application. This is where the expertise of Nowak Migration is most needed. Migration agents like us provide you with advice and help on those concerns. In addition to that, we help you prepare the required documents and evidence; assist you in lodging your application and make the needed follow through with the concerned personnel at the department. We know the ins and outs at the DIBP, so you cannot brush aside the help that we can give you. Many would say that hiring a migration agency is expensive. Try doing the application process all by yourself and assign cost to it and allocate costs as well to the mistakes that you may commit along the way, and see which one is expensive once your visa would be refused for medical or other reason. You will surely find out that hiring an agent is quite budget-friendly than doing it yourself. But you need to be cautious in choosing an agent. Not all migration agencies are the same. There are registered outfits and there is fly by night. The latter has been known to fleece clients like you for your hard-earned money. One of the easy ways to determine whether or not a migration company is legit is to verify if they are registered with the Office of the Mara. They maintain a list of the registered migration agencies. Thankfully, your trusted Nowak Migration is prominently listed therein. Our Migration Agents Registration Number or MARN is 1280062. If you hire the services of an agent, you should ask for their registration number. With Nowak Migration being a registered migration agency and a respected veteran in the industry, not only will you be safe in our hands. You will also be assured that we get the job done. That is, you can migrate to Australia from India with our assistance. But don’t take our word for it; rather let our credentials and track record speak for themselves. So you’ll know what we can do for you, please give us a ring at +61 (07) 3668 0658. If you don’t have time to do it now, you can send us a message via email or through the Contact Us tab of this website. We invite you also to like our Facebook page, follow us on YouTube and subscribe to our newsletter. Don’t worry, your privacy is of utmost importance to us, hence we will keep your email address to ourselves. Feel free to provide with comments or ask the questions in the box below. 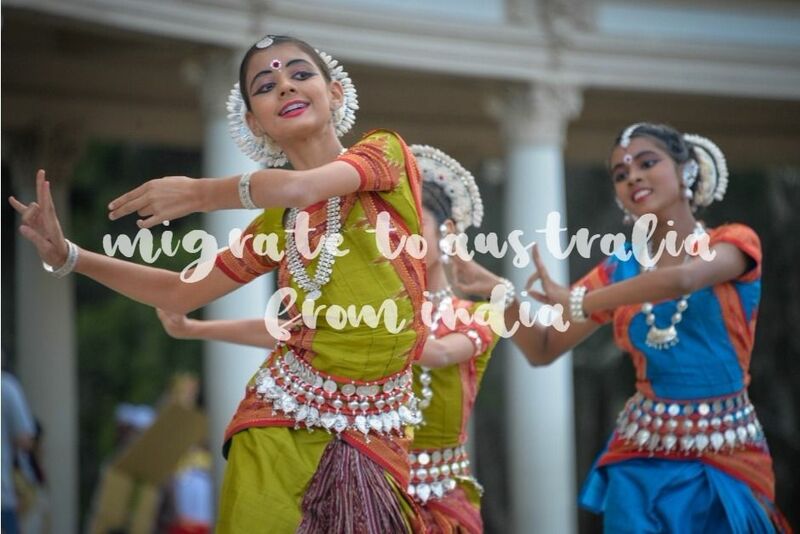 Migration to Australia from India ☝️ Australian government offers plenty of different categories and subclasses of Australian visa. For purposes of our discussion here, let’s just focus on four common and popular ones, namely visas for skilled workers 👨‍💻 students, partners 💏 and parents 👴 👵 If you happen to be any of the mentioned sectors, the future is bright for you in the land of opportunities. I am looking for a migration opportunity from India to Australia. Please book a consultation so we’ll explore options available to you.